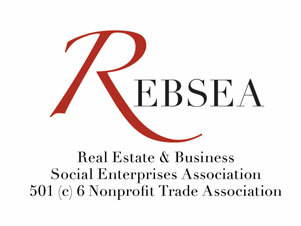 REBSEA members are renown for their philanthropic endeavors, but the question of why a Real Estate Agent, Mortgage Broker, or Insurance Agent would donate a portion of their commissions to a Nonprofit organization is difficult to comprehend for many people. As this month is Breast Cancer Awareness month we have focused our answer to this question with the words of REBSEA members who have dealt with the scourge of Cancer, including Breast Cancer, and Leukemia. There are things you hear of in life that never really impact your day-to-day world. You know they exist, but that's about all you know. That's how the Leukemia & Lymphoma Society (LLS) was to me back in December of 2006. By January of 2007 they were my world. A diagnosis of Leukemia is always a tragedy, more so when you are 21 years of age and off having fun in a college town. Even more so when it is a beloved son. Such was the beginning of my nightmare back on that cold bleak day. Overnight my relationship with the LLS became intimate. Brochures and offers of assistance were always there for me to read to discover the stages of my son's illness so I could understand what, as a caretaker, was expected of me. The LLS were there when friends and family, unable to cope with my son's diagnosis, were not. Adam, my precious son, and I talked often of how we could repay them one day and, as he slowly went through treatment, we made a plan. They had a "Light the Night Walk" held annually in Atlanta. We would get sponsors and a team together (known as Adam's Crazy 8's), and we would walk the route through downtown Atlanta holding our brightly lit balloons, as well as our heads, high, and we would give back. Adam made calls. His former school chums and those that knew him well were "in". We would walk and raise money for a society that had held our hands through the worst. We did walk. In 2009 he was gaining strength everyday and he couldn't wait. We walked with hand painted T-shirts on our backs and we raised more than a $1,000 for the LLS. We were ecstatic for that reason. But even though we walked, every step was a mile, every corner we reached a tear, and every balloon that bobbed in the wind a memory. His friends carried red balloons because red stood for support and hope, and I followed in their footsteps holding my gold balloon. Gold stood for memory because Adam died September 9th and I was now walking in his memory. Adam was 24 years old and it was the hardest walk I have ever had to walk in my life or ever will again. It was the beginning of a different relationship with the LLS for he was no longer a survivor and yet he still mattered. I hope to spend the rest of my life walking for them, whether it be physically in their "Light The Night Walk" or with donations of 8% (his soccer number) from closings. I will always walk and keep on in the same direction, forward, so as to help find a cure to all Blood Cancers. I was diagnosed in 2008 with stage IIIb breast cancer. At 49 years old I was active and taking good care of myself–not a smoker or a drinker –I was certain I was beating any negative health odds–certainly cancer. Lucky for me-I had great health insurance, was fully employed and had an incredible group of friends and family that were unfailing in their support and care. My cancer was both aggressive and difficult to cure and I immediately did everything that the doctors ordered to save my life. I had a full regiment of chemo for an entire year, the maximum allowed radiation and a double mastectomy plus reconstructive surgery that took yet another year to complete. Those first two years were harrowing and without my spiritual beliefs and the love of my steadfast husband, Eric and family, I am certain that the outcome would have been different. I met women that were receiving the same treatment and many of them did not recover. During those two years, I found a new strength, a new patience and new love and zest for life that created not just a survivor but a warrior. Today, I paddle on a all breast cancer survivor dragon boat the Pink Phoenix. We are almost 80 strong and are paddling on the Willamette three times a week. We compete locally and internationally and we’re a great organization. We love to compete and like most teams we love to win. Even if we don’t finish across the line first, we still win. Each of us is taming the cancer monster that tries to take our smiles, our will and our lives. We paddle and compete to demonstrate that there is a great quality of life available after cancer. You let cancer win if you stay wrapped in that cozy blanket safely tucked on the couch watching the world go by. Many people are left debilitated after treatment and I don’t pretend for a minute that I have super human physical strength. I do possess super human spiritual strength and I love to share that with others. You will find me entering 5k’s and ½ marathons for charity, you will find me handing out pamphlets to oncology patients to provide them with hope. You will find me supporting those charitable organizations in my home town of Banks whenever and wherever possible. This is my second year of sponsoring, Misty Maller’s charitable organization Angels Making a Difference. I am a big sponsor of the run that is scheduled at Hagg Lake in June–I also sponsor my paddling team and many other cancer focused organizations. Why? They need your help and they need my help. We can’t wait on someone else to do it. I believe in a cure. I believe a cure can be found in my life time. I pray that should I ever have a recurrence of breast cancer that there will be a fighting chance for me or for someone that I love. My company, The Godfrey Real Estate Group gives a portion of our proceeds from each home sale that I close to one of these organizations. Each contribution that I make has come directly from my success as a realtor. I have been blessed to be able to support these organizations that do so much for me and may do something remarkable for you or someone that you love. I rely on your referrals for my business success–Rest assured that each time you refer a friend or family member to me I will treat them like family, work diligently to get the very best for them and at the end you will have helped me fight cancer. Join me in the fight against cancer !! Let’s do this together! We can make a difference!